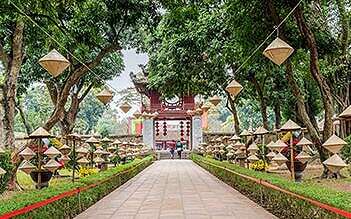 A 2-day Mekong Eyes Explorer cruise tour to visit Can Tho and Cai Be ensures to give you unforgettable experiences in Mekong Delta. 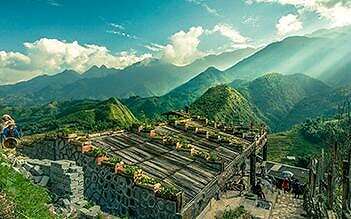 By joining this tour, tourists will have chances to stroll through a village and the surrounding fruit orchards or rice fields, meet the friendly locals and taste the local produce and fruits. 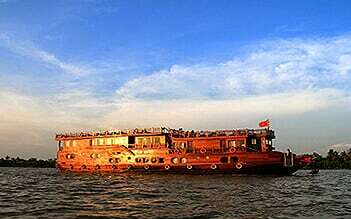 Let's come and experience the tour on luxury Mekong Eyes Explorer cruise. In the morning (only departure on Thurday) we pick you up at your hotel in Saigon (District 1 and parts of District 3) and take you to your port of embarkation in Can Tho. The transfer takes between 2 to 3.5 hours depending on the embarkation port. 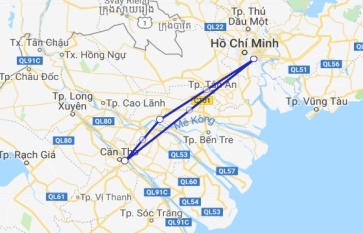 After the transfer from Saigon to Can Tho we receive you with a refreshing welcome drink and show you our on-board facilities and your cosy cabin. While you enjoy lunch, the boat starts cruising. Sit back and watch the fantastic scenery and the daily life of the Mekong people. Get back on board and enjoy a drink at the bar or relax on deck as the sun sets over the magnificent water landscape of the Mekong River. The cruise boat will anchor for the night. The day ends with a delicious on-board dinner. You stay overnight on board on your comfortable river cruiser. The cruise vessel sets off at 6.30h for a sunrise cruise. Watch the locals go about their daily work drying exotic fruits or building wooden ships on the yards while enjoying an early breakfast. We were two half days and therefore only one night on the ship Mekong Eyes, which in our view was quite sufficient to get an impression of the Mekong Delta. The welcome on the boat was very warm and in general the crew was very friendly and helpful. Our cabin was right at the front of the corridor and was therefore quiet. For us there was nothing to complain about on the ship. Also all meals were tasty and rich. The tours are very touristy (have some coffee), but that's okay, considering that people live part of this tourism. And after all, in the short amount of time we have received an extensive "sweeping blow" from the region. 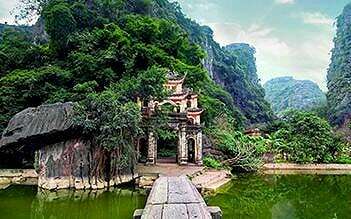 Our guides have managed the whole great and sometimes very humorous knowledge conveys. With all that, there was still plenty of time to relax on the deck chairs and enjoy the drive on the Mekong. 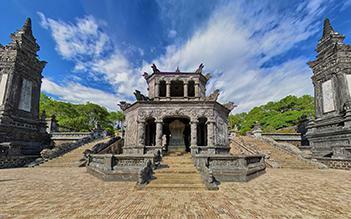 Definitely worth the mini-cruise, as it takes a very long journey to and from Saigon. Even though the travel time in the region brought us a lot of heavy rain, the crew always tried to make their stay as comfortable as possible. Many small landings to islands, markets and interesting places along the flood-leading Mekong made the stay varied, although many a bridge between ship and land was daring designed. The crew was very dedicated and helpful, unfortunately the English pronunciation was sometimes difficult to understand, so 1 star deduction. The on the ship with a lot of commitment offered food was delicious, varied and always fresh, especially the large and varied fruit plates at breakfast, at any time with offers good restaurants comparable. The cabins on the ship were small, but adequate and clean, unfortunately the air conditioning was above the head of the bed, which also affected my rating. Overall, recommended. Very nice trip! Went to the mekong river tour and it was very well organized. Lovely staff, good tours and food during the trip. Highly recommended! We were picked up at our hotel in Saigon by a clean and comfortable van. We made two other stops and then headed to the river. Along the way we stopped at the Mekong rest area -- perfect timing. Got the boat in the timeframe indicated, and boarded for our two day, one night trip. The boat was clean, the food was good and the staff was friendly and accommodating. There are only 14 rooms so it was a small group of international travels who were friendly (good thing since we all sat at long tables for meals and really only had two common areas to hang out in). It was a relaxing trip. The best part was the tour through a local village with a guide that explained about the local culture, people, and agriculture. The boat ride through the floating market and rice noodle "factory" was interesting. None of it was rushed and the guides always took time to make sure questions were answered. Different guests had booked different arrangements. Wishing we did a longer trip so we could have taken the cooking class! We headed back to Saigon the next day. The only glitch in the trip was that the van taking us back arrived 40 minutes after we docked so we had to sit and wait. Other than that, it was a wonderful trip!